founded by L. Ron Hubbard. Exterior view of the Scientology building on Sunset Blvd. in Los Angeles, CA. This web site originally had a large section on The Church Scientology. However, we reviewed the essays and found that they lacked objectivity. They were biased in favor of the faith group. As a result, we deleted the section during 2014-OCT. If you want to read material that promotes Scientology, please go to the Church of Scientology web site. The Church of Scientology is a relatively new faith, founded by American science fiction/fantasy author Lafayette Ronald Hubbard (1911-1986). He is most commonly referred to within the Church as L. Ron Hubbard. The word Scientology means the "study of knowledge or truth." The Church attempts to address the rehabilitation and salvation of humanity. Unlike many new religions, Scientology survived the death of his founder in 1986 and has since grown. It is now led by David Miscavige, who had been a friend of Hubbard. The total number of Scientologists in the world is extremely difficult to estimate, for a variety of reasons. Estimates vary over a 100 to 1 range, from 10 million (as stated by the Church itself) to 100,000 as estimated by some skeptics. The Church of Scientology has been recognized as a religious organization by some countries, and is banned in others. It has been criticized by some critics as more of a cult or a corporation than a religion. Currently, it is perhaps the most controversial of the new religious movements (NRMs). Until 2014-OCT, this menu included links to a number of essays on Scientology. However, after reassessing their quality, we concluded that they do not meet the standards expected of material on this web site. On 2014-OCT-05, we removed them, leaving just this essay. Jenna Miscavige Hill & Lisa Pulitzer, "Beyond Belief: My Secret Life Inside Scientology and My Harrowing Escape," William Morrow; First Edition edition (2013). Read reviews or order this book safely from Amazon.com online book store. Amazon.com sells it for: $10.92 in Kindle format, $12.98 plus shipping in Hardcover, $9.03 plus shipping in Paperback, and in Audiobook and Audio CD. "Jenna Miscavige Hill, niece of Church of Scientology leader David Miscavige, was raised as a Scientologist but left the controversial religion in 2005. In Beyond Belief, she shares her true story of life inside the upper ranks of the sect; details her experiences as a member Sea Org -- the church's highest ministry; speaks of her "disconnection" from family outside of the organization; and tells the story of her ultimate escape. In this tell-all memoir, complete with family photographs from her time in the Church, Jenna Miscavige Hill, a prominent critic of Scientology who now helps others leave the organization, offers an insider's profile of the beliefs, rituals, and secrets of the religion that has captured the fascination of millions, including some of Hollywood's brightest stars such as Tom Cruise and John Travolta." James R. Lewis, "Scientology," Oxford University Press, 2009-MAR, 464 pages. Read reviews or order this book safely from Amazon.com online book store. Amazon.com sells it in Kindle format for $16.74 and in hardcover for $9.95 as of 2017-JUL-25. Scientology is arguably the most persistently controversial of all contemporary New Religious Movements. 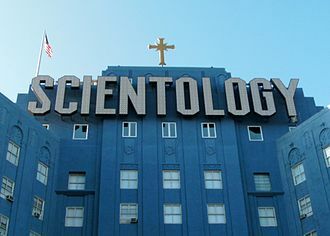 The Church of Scientology has been involved in battles over tax issues, a ten-year conflict with the Food and Drug Administration, extended turmoil with a number of European governments, and has even been subjected to FBI raids in Washington, D.C. and Los Angeles. Negative publicity, however, has not prevented the Church from experiencing remarkably steady growth. Official national census figures indicate that the number of Scientologists grew significantly in Canada, New Zealand, and Australia throughout the 1990s, and studies show that the Church gained 10,000 members in the United States during that decade. This has led Scientology to begin referring to itself as "The World's Fastest Growing Religion." But despite its highly public profile, recently enhanced by celebrity spokespersons like Tom Cruise and Isaac Hayes, little has been published about the Church, its history, theology, and mission. The present volume brings together an international group of top scholars on New Religious Movements to offer an extensive and even-handed overview and analysis of all of these aspects of Scientology, including the controversies to which it continues to give rise. The book's six parts take a detailed look at the Church through its similarities to and differences from other religions, conflicts with various groups, overseas missions, and its theology, history, and sociology. James R. Lewis has assembled an unusually comprehensive anthology, incorporating a wide range of different approaches. This volume is a welcome and long-overdue resource for scholars, students, and others interested in this controversial and little-understood religious movement. Lawrence Wright, "Going Clear: Scientology, Hollywood, and the Prison of Belief," Vintage, 2013-NOV, 560 pages. Read reviews or order this book safely from Amazon.com online book store. Amazon.com sells it for: $19.05 plus shipping in Hardcover, $13.27 plus shipping in Paperback. This book was honored as a National Book Award Finalist, National Book Critics Circle Award Finalist, A New York Times Notable Book, A Best Book of the Year: The Washington Post, The Boston Globe, New York magazine, Slate, Chicago Tribune, Huffington Post, Newsday, Entertainment Weekly, People, The Week, Publishers Weekly, Kirkus Reviews and a GoodReads Reader's Choice! "Scientology presents itself as a scientific approach to spiritual enlightenment, but its practices have long been shrouded in mystery. Now Lawrence Wright -- armed with his investigative talents, years of archival research, and more than two hundred personal interviews with current and former Scientologists -- uncovers the inner workings of the church. We meet founder L. Ron Hubbard, the highly imaginative but mentally troubled science-fiction writer, and his tough, driven successor, David Miscavige. We go inside their specialized cosmology and language. We learn about the church’s legal attacks on the IRS, its vindictive treatment of critics, and its phenomenal wealth. We see the church court celebrities such as Tom Cruise while consigning its clergy to hard labor under billion-year contracts. Through it all, Wright asks what fundamentally comprises a religion, and if Scientology in fact merits this Constitutionally-protected label. Brilliantly researched, compellingly written, Going Clear pulls back the curtain on one of the most secretive organizations at work today." Photo by PictorialEvidence. CC BY-SA 3.0 via Wikimedia Commons. Scientology, Dianetics and "The Bridge" are trademarks and service marks owned by Religious Technology Center.